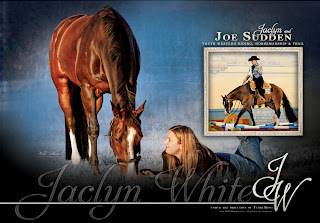 Wild Mane Photography's Blog: The World Show's Are Coming Soon! The World Show's Are Coming Soon! It is nearly time for the World Quarter Horse Show and the World Paint Horse Show. I have been blessed to photograph a number of competitors over the years for the ads that they place in national magazines each year. Equine Chronicle seems to be the magazine of choice in most cases. The ads are beautiful with appealing graphics and backgrounds used along with my images like the one above. The ads are at least full page and in color. It is not unusual for them to be double page spreads or even fold outs. It is always so exciting to get a copy of this large, full color magazine and see my images as well as enjoy ads created by others across the country. These ads introduce both the riders and their horses to the judges as well as other competitors and horse lovers in general. The finished product for this image is below. The main image is the one above, the insert in this particular ad was taken at a show by KC Montgomery. Graphics by Certified Images. Watch for more of these in the next few days. 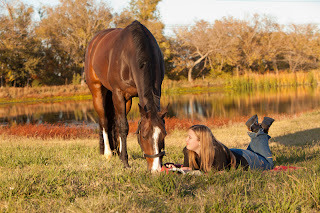 If you have a love of horses, the World Shows are a great place to see the best of the best with competitors ranging from 13 and under to senior adults.